Also known as: Mini Facelift or Mini-lift. The Mini Facelift is a facial rejuvenation procedure that uses shorter incisions and a more limited surgery to obtain facial enhancement. Am I A Good Candidate for MiniLift or Mini-Face Lift? 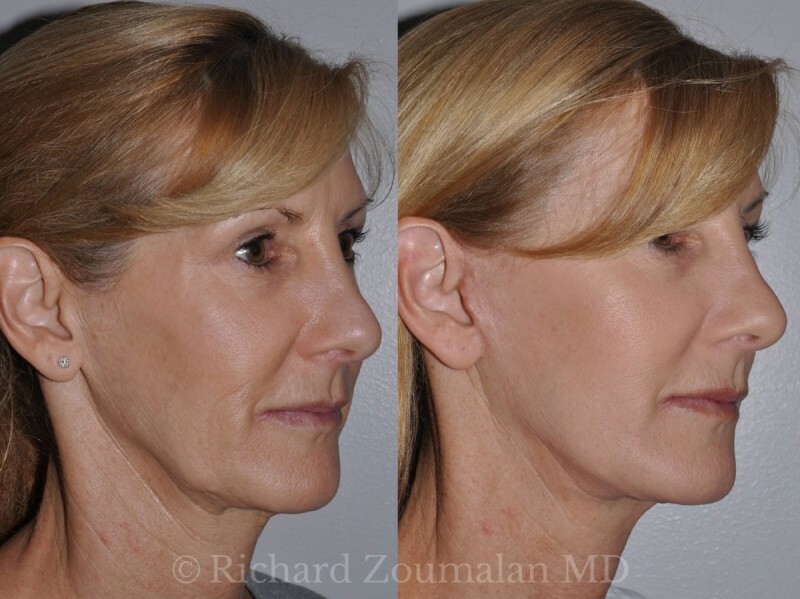 The Mini Facelift, when performed by Dr. Zoumalan, is still a deep-plane approach that addresses the soft tissue in an anatomically correct approach. This is to say that the tissues are pulled naturally, which produces a result that looks and moves naturally. Dr. Zoumalan prefers to perform the Mini-lift on patients if possible. The ideal patient for a Mini Facelift is the younger facelift patient with mild to moderate tissue looseness. 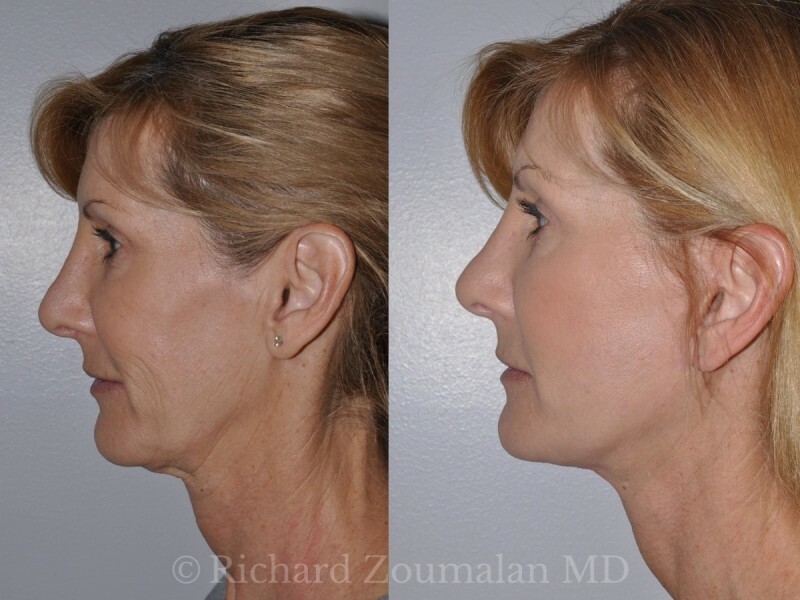 For those with more heavy tissue and severe facial and neck aging, the traditional Facelift approach is more appropriate. This is a woman in her 60’s who underwent full facial rejuvenation. 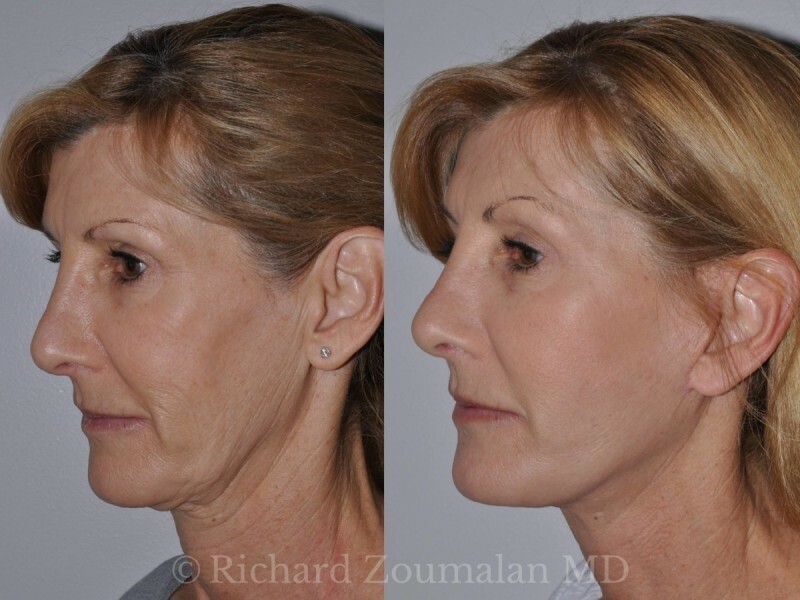 She underwent minimally invasive Facelift, Endoscopic Browlift, and full face CO2 laser by Dr. Richard Zoumalan. 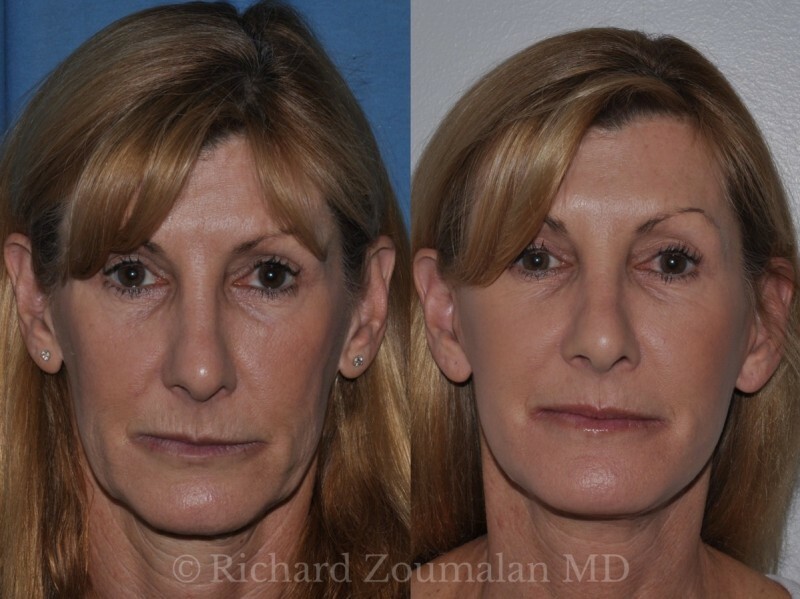 Dr. Christopher Zoumalan, an Oculoplastic Surgeon, performed upper and lower lid Blepharoplasty. The brothers (Drs. Richard and Chris) are the only surgeons in the world who regularly perform this surgery together as a super-specialized duo. During your surgery, Dr. Zoumalan will meticulously perform your lift while you are under the care of experienced anesthesiologists at a Beverly Hills surgical center which has the highest level of accreditation and provides unparalleled level of care.